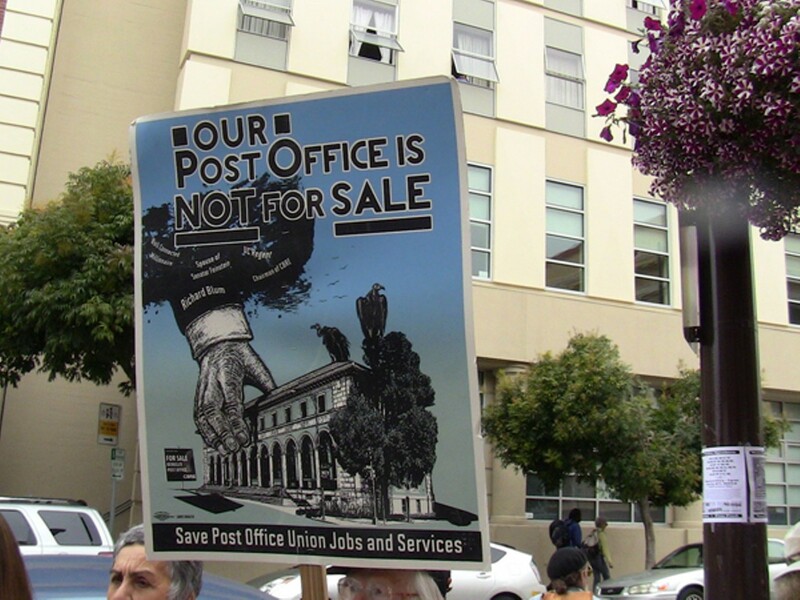 Activists have protested the proposed sale of the historic downtown Berkeley post office. Editor's Note: The following is an edited version of the introductory chapter of a new e-book, Going Postal, by investigative journalist Peter Byrne. When a post office closes, it is obviously that much harder to buy a stamp, pick up a package, send a registered letter, or purchase a money order. 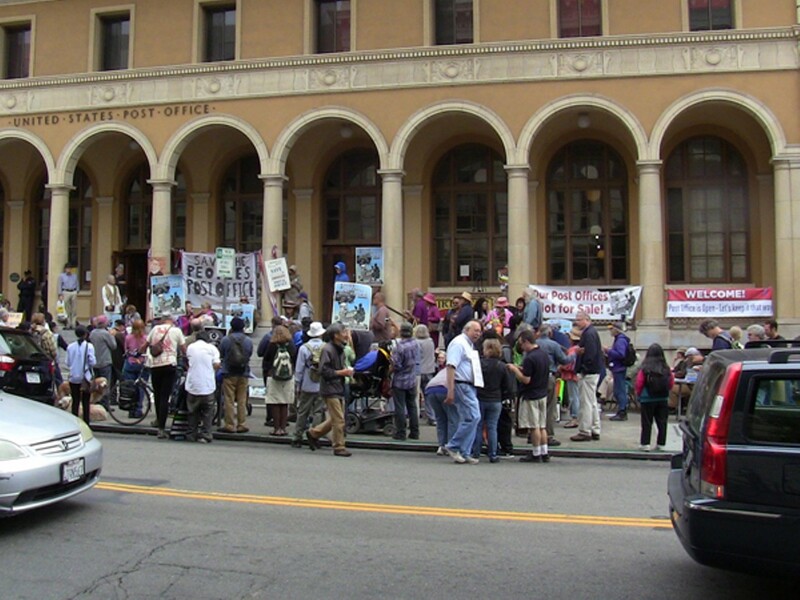 But inconvenience alone did not account for the existential angst being expressed by the mostly over-fifty members of the throng as they questioned the motives of the United States Postal Service for selling post offices all over the country to developers. "Which of our public assets will be privatized next?" speakers asked. "Streets? Schools? The Lincoln Bedroom?" The Berkeley crowd is not acting alone: From the beaches of Santa Monica to the avenues of the Bronx to the orange farms of Nalcrest, Florida, people who like the US Mail are getting mad. "Hey, wait a minute, Mr. Postman! That is our community post office — "
To which the federal flak-catchers reply: "The Internet is killing us. The Postal Service is broke. We have to sell. Get used to it." But email is not the problem and the budget deficit is easy enough to fix, so there must be other reasons for the forced sales, say save-the-post-office activists. 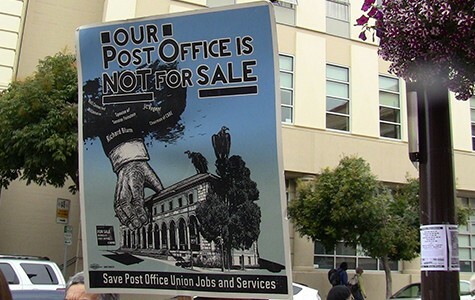 The post office is being killed for political reasons, they assert, pointing out that the corporation with the exclusive contract to negotiate sales for the Postal Service's $85 billion real estate portfolio is C.B. Richard Ellis (CBRE). And that the company is chaired by Richard C. Blum, who is the husband of US Senator Dianne Feinstein and a member of the University of California Board of Regents. CBRE's connection to a politically powerful family with a history of accessing public pension funds to make private investments has caused more than a few activists to suspect wrongdoing — even though no evidence of any conflicts of interest tied to the CBRE contract have been revealed. • In a series of apparently non-arm's-length transactions, CBRE negotiated the sale of postal properties all around the country to its own clients and business partners, including to one of its corporate owners, Goldman Sachs Group. • Senator Feinstein has lobbied the Postmaster General on behalf of a redevelopment project in which her husband's company was involved. And 80 percent of the Postal Service's multibillion-dollar deficit is caused by a law passed by Congress in 2006 that requires it to prepay retiree health benefits 75 years into the future. This unprecedented, budget-killing command does not apply to any other government agency. If this burden were to be rescinded — and business mail were to be charged the cost of its delivery — the Postal Service would be in the black, according to Congressional reports. And then there is CBRE, the world's largest commercial real estate firm. In June 2013, Postal Service Inspector General David C. Williams published a scathing audit of CBRE's exclusive contract to manage all the sales and leasing of postal real estate. Williams noted that outsourcing these activities to a single firm is "a fundamental change from how the Postal Service previously managed its real estate portfolio [and] Facilities officials should improve oversight to mitigate inherent risks associated with the CBRE contract .... Specifically, there are conflict of interest concerns." Over the past year, my investigation has explored the kinds of conflicts of interest that concerned Williams by diving deep into the public record. CBRE's contract, its postal facility sales data, as well as expense reports for Postal Service executives were obtained under the Freedom of Information Act (FOIA). 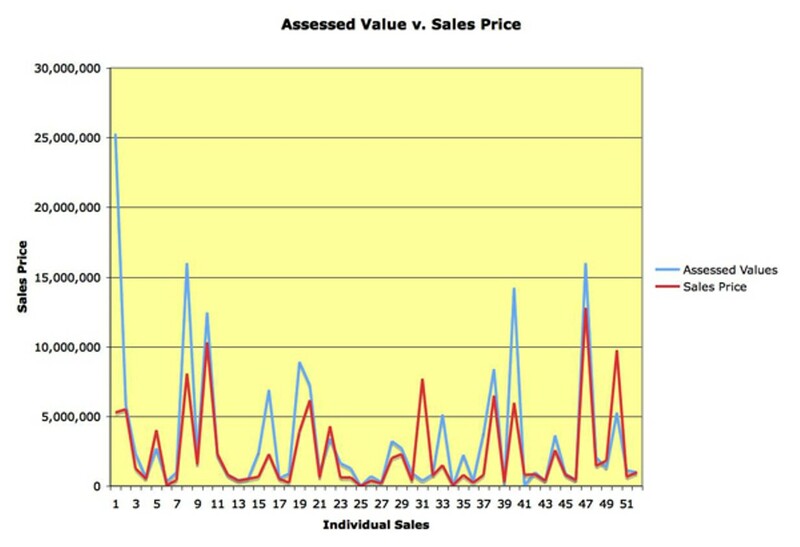 The deeds of sale and assessment data for most of the postal properties sold by CBRE were found at the county level. The Inspector General of the US Postal Service calls for the firing of the politically connected real estate firm that has been selling post offices to its friends, cheap.